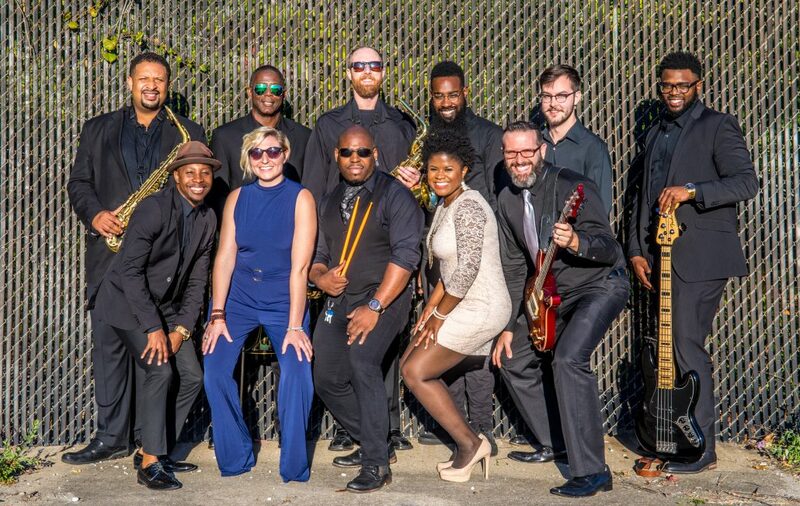 Gold City is the East Coast’s premier party band! *Each member of Gold City boasts years of experience in the music industry, with dozens of both private and public performances. *The members of this top-notch talented group have shared the stage with artists such as Santana, Roberta Flack, Aerosmith and many more. *Let Gold City provide entertainment for every phase of your event: wedding ceremony accompaniment, jazz cocktail music and a huge variety of party and reception music. *Gold City can customize the selection to your needs and favorites. We can play any style of music from Pop & Motown to Country & Rock plus many more! From Stevie Wonder to Whitney Houston, Gold City can do it all! We have the perfect song for the perfect unforgettable moment. Watch our amazing singers perform the classic tune At Last by Etta James. Bruno Mars & Justin Timberlake are perfect party starters! Check out our vast catalogue that is ever expanding. We can also fulfill requests in any style or genre! FILL OUT THIS CONTACT FORM FOR BOOKING AND ALL OTHER GENERAL INQUIRIES. WE LOOK FOWARD TO MAKING YOUR UPCOMING EVENT PERFECT! "...We still get comments on how great the band was, you guys killed it!" " I officiated at a wedding recently and got to see the band in action. They are booked to play my sisters wedding and Chase Entertainment put together the band for our wedding which we are STOKED about to say the least. So basically you're in good hands."